Course Review - Churchville | Millennium Games | Over 1,000 Games! Hello Disc Golfers. 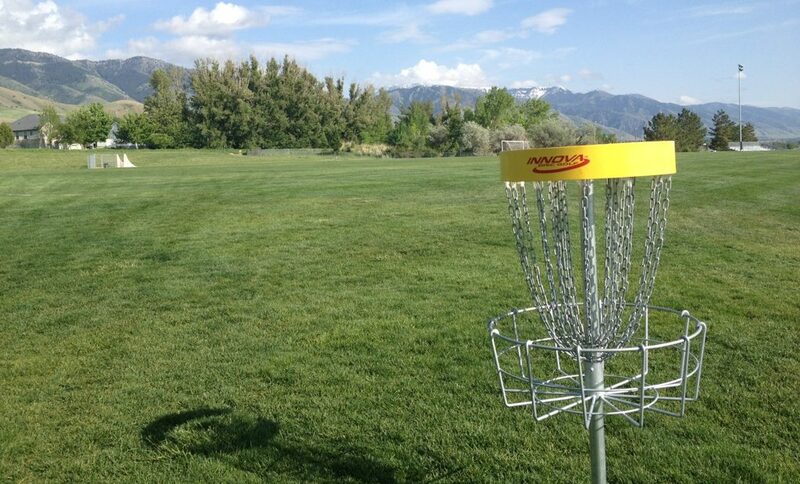 Today we are going to take a look at a course on the southwest side of the city, that is great for people who are looking for different challenges to help grow their game: Churchville Disc Golf Course in Churchville, New York. Tee Pads – Rubber pads on all holes. Churchville is built into the back half of Churchville park, just past the center of the town. To find the course, take I-490 E/W to Churchville (Exit 3). Take Route 36 North to the village of Churchville. Proceed straight through the four corners of Churchville (do not follow Route 36 when it turns right). Look for a bridge over Black Creek. The Park will be on your left and right after you pass over the bridge. For the Disc Golf section, park on the right hand side near the playground and soccer fields. Running alongside the Black Creek, this is an excellent course to test out your arm strength and those giant drives that we all desire. But don’t let the front half of the course trick you into thinking there is nothing technical about it, as you will want to make your birdies early. Holes 1 thru 7 are wide open, commonly featuring a crosswind going West to East (right to left on Hole 1). This layout allows for some very long throws that will easily glide across the fairway, putting up big distance numbers. The front nine is great for players who are practicing their distance game, as there is little punishment for missing left, and only the road and more open space across the road if you happen miss right. The open fairways of the entire course allow for wind to become a strong factor in the spring and fall, so anyone moving their game from recreational level to amateur or pro would be well advised to use this course as practice for throwing around strong winds. After hole 7 is where the trees start playing, and really its holes 11, 13, and 15 that will truly test your ability to throw straight and create shots around the trees. The stretch from 11 thru 15 can be a bit buggy in the summer heat, so make sure to bring some spray. Although shorter in distance, the back stretch has lots of trees and tight angles to frustrate even experienced throwers. The course layout can also get tricky in the back 9 as two of the tee pads are buried into small lanes that dig into the tree line, making finding the tee pads for 11 and 13 difficult, as well at the basket at 15. Despite these hindrances, the course is well maintained and a ton of fun for many skill levels. With forgiving drives, an easy walk, and challenging mid range shots for even pros, Churchville is a great amateur level course that can take some time to get used to, but can also produce easy low scores. Speed, Population and Wait times- 1 – Usually has 2 to 4 groups playing on the course at any time. A duo who knows where they are going can finish in about an hour. Affected by Weather – 3 – easy to navigate after rains if you bring some boots, but open course layout makes for strong winds. Bring bug spray in the late summer.